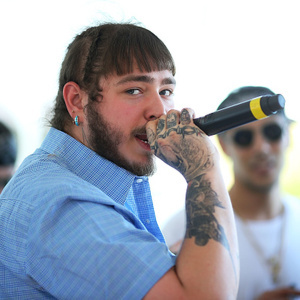 Post Malone net worth: Post Malone is an American rapper, singer, songwriter, guitarist, and record producer who has a net worth of $14 million. Post Malone was born in Syracuse, New York in July 1995. When he was 5, his family moved to Texas when his father became the manager of concessions for the Dallas Cowboys. He credits his initial interest in learning guitar and following a musical career to the game Guitar Hero. He originally was very into emo and heavy metal music but ultimately focused on hip-hop. He created his own mixtape when he was just 16 years old using open-source music software Audacity. He briefly attended Tarrant County College in Fort Worth, Texas. He moved to Los Angeles after dropping out. His debut studio album Stoney was released in 2016 on Republic records. The album reached #1 on the US Rap chart and #2 on the US R&B/Hip-Hop chart. It also reached #4 on the Billboard 200 chart and the Top 10 in Australia, Canada, Denmark, New Zealand, Sweden, and the UK. Stoney was also certified 2x Platinum in the US. 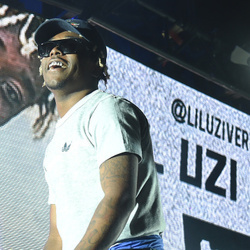 His debut single "White Iverson" reached #3 on the US Rap chart and #5 on the US R&B/Hip-Hop chart in addition to #14 on the Billboard Hot 100 and was certified 4x Platinum. 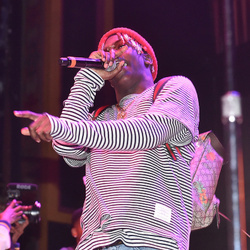 Malone had a big hit with the single "Congratulations" (featuring Quavo) before released his smash hit "Rockstar" (featuring 21 Savage) which reached #1 in the US, Australia, Canada, Denmark, New Zealand, Sweden, and the UK. His single "I Fall Apart" was also a big hit, reaching the Top 10 on the US Rap and US R&B/Hip-Hop charts. In April 2018, he released his second studio album "Beerbongs & Bentleys". The album was #1 on dozens of charts including the Billboard Hot 100 and was quickly certified 2X Platinum. His singles from that album,"Psycho" and "Better Now", performed very well on the charts. Post Malone has also been featured on singles by other artists including Lorde, 50 Cent, Gucci Mane, Kanye West, and more. In August 2018, Post broke a 34-year-old record set by Michael Jackson when his album "Stoney" hit its 77th week on the Top R&B and Hip-Hop charts (Thriller was on the chart for 76 weeks). Post Malone owns a multi-million dollar home in Los Angeles as well as a $3 million, 13,000 square-foot property in Utah.